I was making these planters for my mom and my husband’s mom and I wanted each planter to reflect a gift I was giving them with the planter. For my mother-in-law, I had found a ceramic piece highlighting her Irish heritage I wanted to hang from the planter. 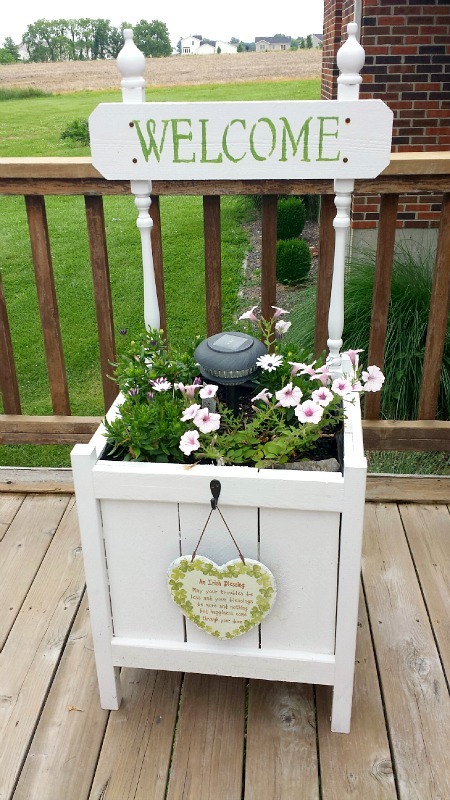 My husband had some ideas on how to make the planter look perfect for his mom. 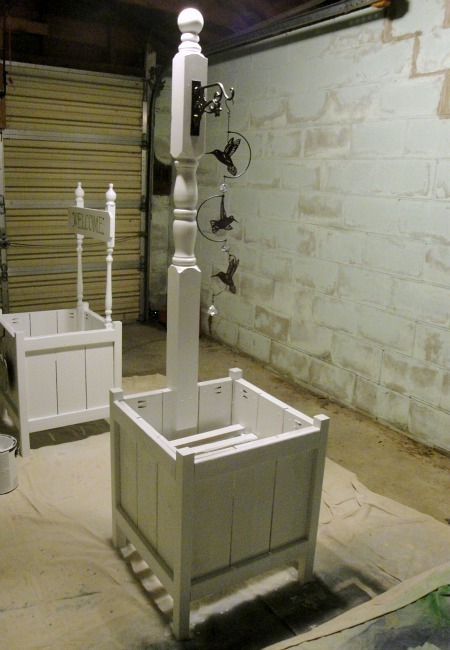 We attached spindles to the planter and placed finials on top for a decorative accent. I cut down the edges of a cedar picket with a jigsaw the give the plaque a more decorative look. 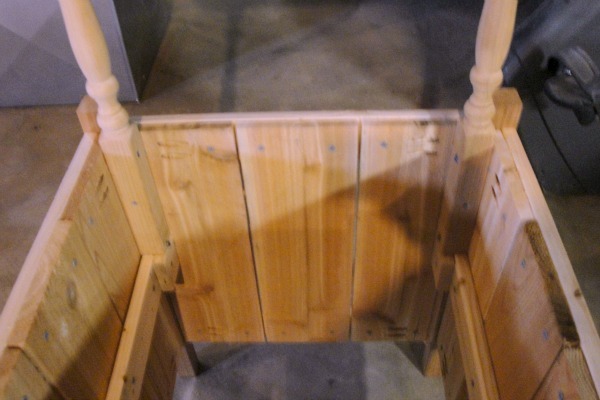 You can see that I attached the spindles to the base I installed to hold the plants inside. For my mom, I know she loves hummingbirds and I had luck finding a beautiful garden piece at one of my favorite local shops (The White Hare) with some hummingbirds on it. I wanted to mount it to the planter. 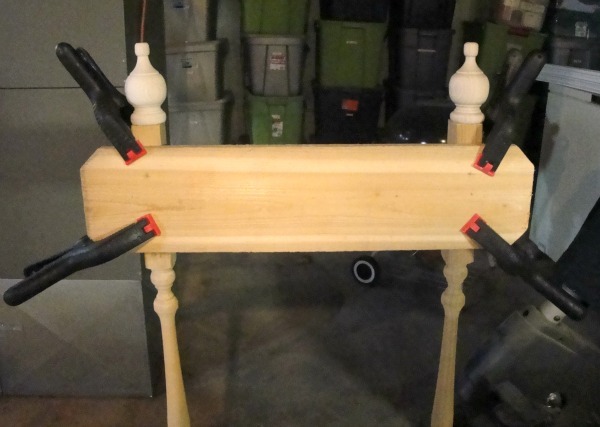 I used a deck post and finial and screwed them into the planter base. I found a gorgeous hook at Lowe’s that could support the weight of the feature piece. 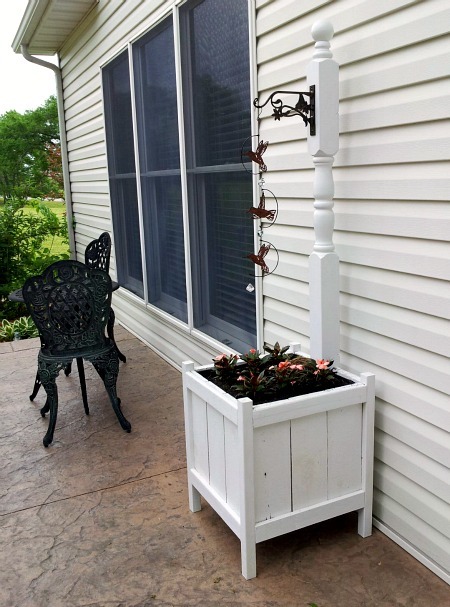 Now you might be wondering how these planters can hold plants. You’ll want to have something more than just your 17″ 1x2s in each planter holding them up. I used some garden fabric and a staple gun to make a nice base. 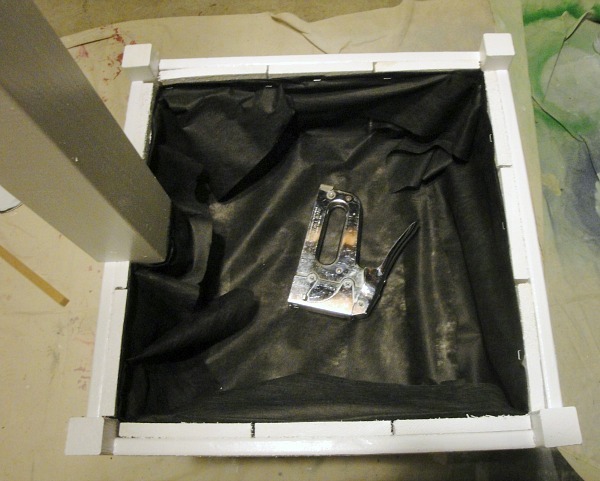 Once attached, you can pour your potting soil right in and plant some flowers in the nice sturdy base you’ve just made. 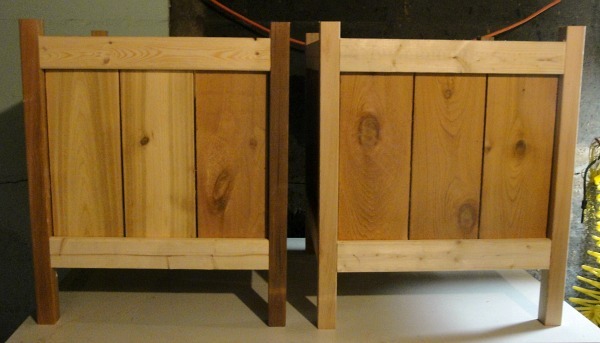 These two planters were my first real woodworking project. 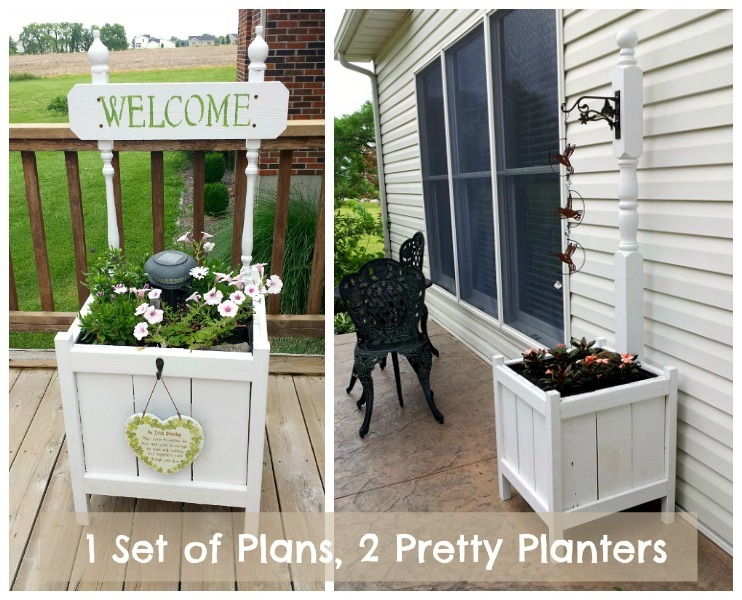 It was great to know I could build one of the many Ana White plans and even more exciting to see that I was able to make each planter match the personality and decorating style of my mom and my mother-in-law. I’m a little nervous that they will expect me to top this next year though.